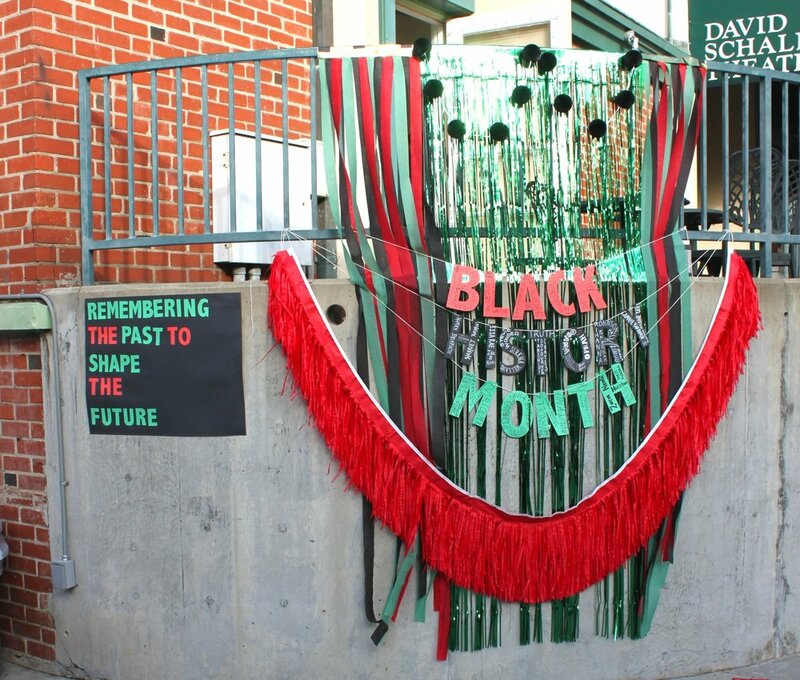 This February, the Black History Month Committee at ESLA will be sharing a variety of ways to engage with Black History through curated lists that highlight Black voices. From museum exhibitions, to movers and shakers in the Twitter-sphere, our hope is to enhance your weekend plans and social media feeds. This week, we are releasing a listing of (mostly free) local art events, lectures, and screenings AND podcasts that we love! Click the links below to check out our recommendations. The titles of each event or podcast are HYPERLINKS, so you can easily click on any item you’re interested in to learn more. This is an incredible resource, and we hope you’ll use it to incorporate Black voices further into your lives and celebrate Black history every month. Huge thanks to Erin Bagley for all the work she put in designing these documents! Stay tuned next week for our Twitter and Instagram recommendations! To honor Black History Month, the ESLA English and History departments will be facilitating weekly evening discussions of Michelle Obama’s memoir, Becoming, for the month of February. Our aim here is to examine Obama’s story within personal, literary, and historical contexts. The first meeting will be on Wednesday, February 13, from 5:30 to 7:00 p.m., at the First Presbyterian Church of Hollywood. We will meet in the main room of Mears Hall. Please bring along your copy of Michelle Obama's Becoming, and please arrive having read the first section, “Becoming Me.” If you have any questions, please email milner@es-la.com. 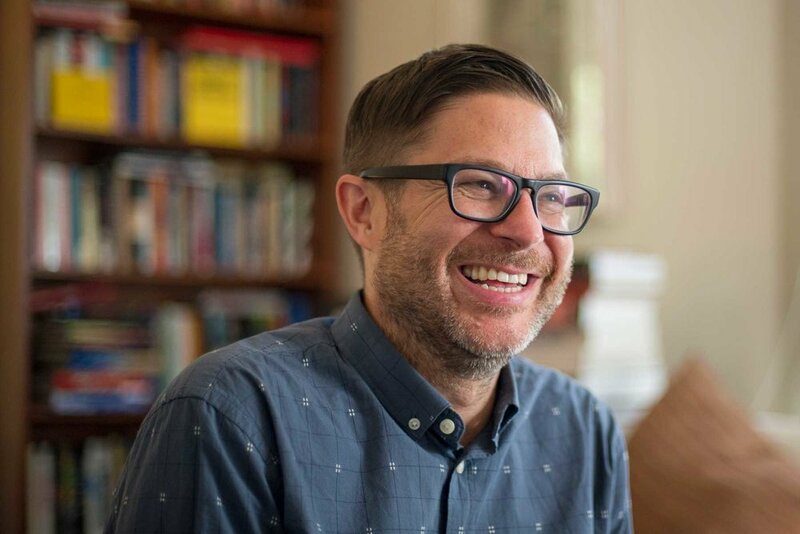 THIS THURSDAY, February 7, 10:00 a.m.
Josh Kun is a 2016 MacArthur Fellow and the winner of a 2018 Berlin Prize and a 2006 American Book Award. He received a B.A. (1993) from Duke University and a Ph.D. from the University of California at Berkeley (1999). In addition to being a frequent contributor to newspapers, journals, and radio, he is the co-editor of Sound Clash: Listening to American Studies (2012) and Tijuana Dreaming: Life and Art at the Global Border (2012). Kun has curated exhibitions and installations at such venues as the Getty Foundation, the Museum of Latin American Art, the Skirball Center, and the Grammy Museum, among others, and in 2005, he co-founded the Idelsohn Society for Musical Preservation, through which he has co-produced albums and organized several concerts of Jewish American music. He is currently a professor of communication in the Annenberg School for Communication and Journalism and director of the Popular Music Project in the Norman Lear Center at the University of Southern California. Thursday, April 25th, 2019: Miguel Ordeñana, community science coordinator at Natural History Museum who discovered P-22! On behalf of the AMBOS Project, Feminist Club, and the Service Council, we would like to say THANK YOU! We are so proud of the support we have received from the ESLA community. With your help, we were able to collect hundreds of toiletries and feminine hygiene products for migrants arriving at the US/Mexico border. Sixth grade rainy day at the Getty Villa! ESLA's Annual Fund drive is in full swing! Thank you to everyone who made a gift or pledge. For those who haven’t participated yet, we hope you will support this very important campaign which benefits all students throughout the year. Contributions to the Annual Fund are tax-deductible and go directly to the school's highest priorities. Our goal is 100% parent participation and we are halfway there with 50% participation! Make a gift today to get us one step closer to reaching our goal! ESLA Sophomore Sophia Grammer's debut production Missing Milligans is a dark comedy set in the halls of your average high school. Part mystery, part drama, and part comedy, Sophia's play features a not-so-average cast of characters played by Sidney Abramson '24, Joe Baldwin '20, Oliver Barnes '25, Katy Cooper '20, Sophia Grammer '21, Grace Hall '23, Cassius Hatosy '24, Caroline LaDage '23, and Stella Walsh '21. The Upper School Varsity basketball teams finished their inaugural California Interscholastic Federation, Galaxy League season this past week. There were great individual and team highlights on both squads! Student athletes and coaches were sad to see the season end and are already thinking about next year. Kudos to Coaches Shelby Bartlett, William Pearson and Walter Thorne, Janie Hannon for helping with scoreboard, scorebook, and transportation, and all the loyal fans who made it to the games. The Varsity teams represented ESLA with class and distinction and won new fans wherever they played with their spirit, sportsmanship, and love of the game. The Middle School Boys and Girls basketball teams are well into their league season now. The Girls team plays this Wednesday and Thursday: Wednesday at Everest at 4:00 p.m., Thursday at Pilgrim at 4:00 p.m.
Fresh off a thrilling overtime win, the Boys return to the court Friday vs Kipp School at Aspire at 6:00 p.m.
We look forward to seeing you at a game. Go Coyotes!! Eighth graders at the Jet Propulsion Lab! Mark Zalin, Safety and Security, attended a School lock down drill this past week at De Toledo School in West Hills, CA. The drill was a very realistic simulation organized with the school, LAPD, and first responders. More than 40 representatives from schools and organizations from throughout Southern California were in attendance and were able to follow LAPD and first responders as they worked their way through the very large campus, classrooms, and school buildings. After the drill, the entire school population, as well as the visiting guests had a lengthy debriefing session with LAPD and first responders. Coach Zalin attended with members of Joffe Emergency services, who have been instrumental in helping a number of area schools, including ESLA, as they define their security needs to ensure a safe community. Save the date for Spring Musical Auditions! Students auditioning for a lead role (Annie, Warbucks, Grace, Ms. Hannigan, Rooster, or Lily) will audition Monday, February 11 from 3:30 to 5:00 p.m.
Students auditioning for any other role will audition Tuesday, February 12 from 3:30 to 5:00 p.m. The cast list will be posted at 3:00 p.m. on Wednesday, February 13. You are cordially invited to attend a brief info session on the ESLA Capstone Project, the extended research project completed by our senior students. Although the info session is not mandatory, we will be going over the nuts and bolts of the capstone project as well as how parents can best support their students. If you are unable to attend but would like set up a time to go over the material, please reach out via email to set up an appointment. We look forward to including you in the incredible work your students are doing at ESLA. The meeting is Wednesday, February 27 from 5 to 5:30 p.m. in Mears Auditorium at First Presbyterian Church of Hollywood. The 'Bring the Heat Award' and the 'Bring the Teach Award' strive to award those students and teachers who have shown outstanding efforts inside and outside of the classroom while encouraging other students’ academic success. This week, students wrote that Ms. Stanton has helped students discuss postmodernist theory, knows how to deliver context beautifully, and help her classes understand English and how to be a better person! Last week, our ninth-grade students spent three days and two nights living in tents on the roof of the Union Mission in Skid Row, interacting with and learning from the many people who live there. This is part of both the California History curriculum and our commitment to service and justice in our city. It is a hugely transformative experience for our students, and a hallmark of the ESLA education. JIHYEOK: Oh cool—is that Smash? NEW KID: No it’s [some name I couldn’t understand because I’m too old]. It’s like anime smash. SAM: Oh cool—is that Smash? JIHYEOK: No, it’s, like, anime Smash. Then the conversation went deep on video games. I didn’t understand any of it, but it was beautiful to watch. **When we started coming to URM four years ago, there were about 20 children living at URM and they rarely stayed more than a few weeks. There are now over 200 children who are often there for several months.